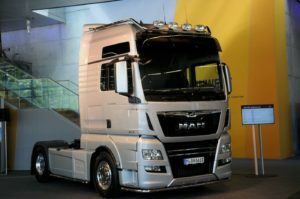 MAN: Small facelift, more power and Swedish gearboxes! MAN presented most of the news for the IAA exhibition but they kept the biggest news under a cover. 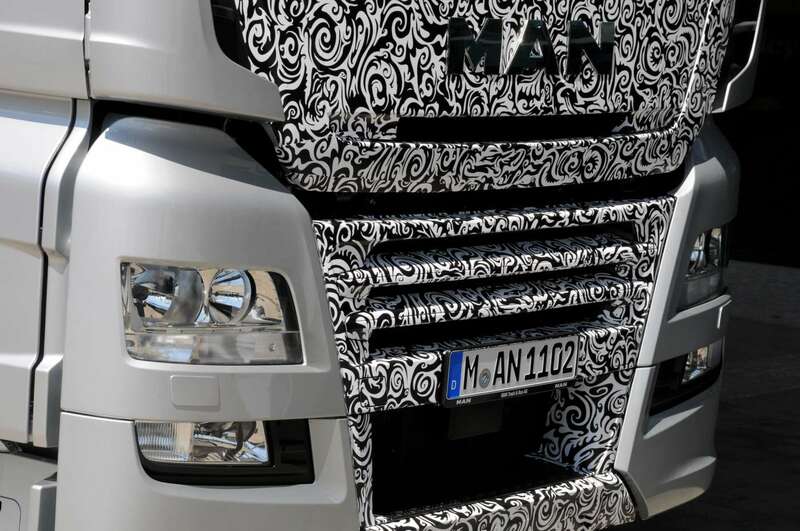 Yes, the new MAN TGE van is going to be presented in Hannover but no, we did not get a glimpse of it. 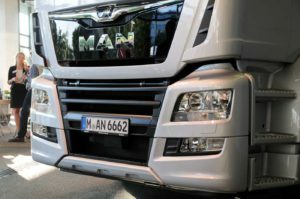 For the heavy line MAN comes with a small facelift that gives some extra horizontal bars in the lower grille. Also the MAN lion now has a black background. In the interior there are new colours and there is a new steering wheel. 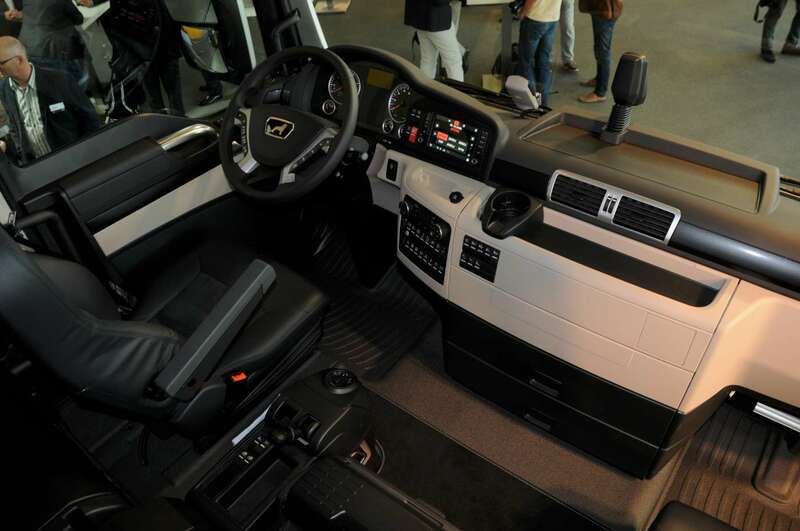 And no, there are no new mirrors and the console and the fridge still eat space in the center of the cab. 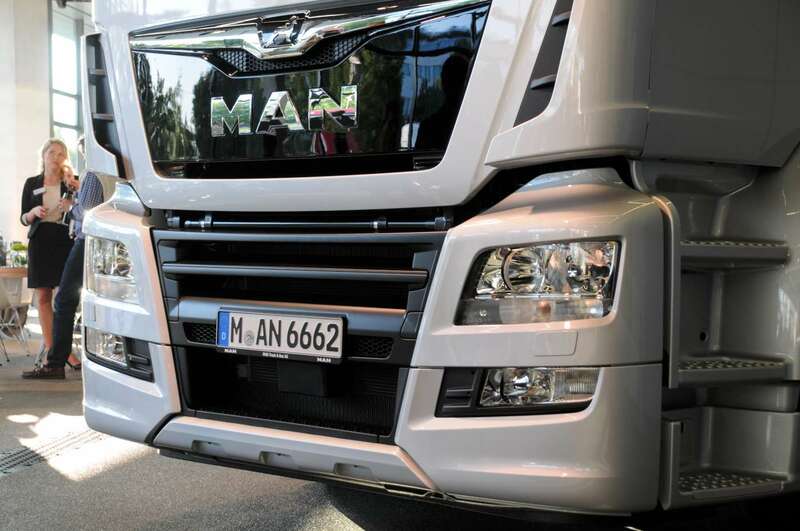 Other news is that the new generation with the Euro-6 C engines have more power and torque. The TopTorque system is now gone and the extra power is there all the way. 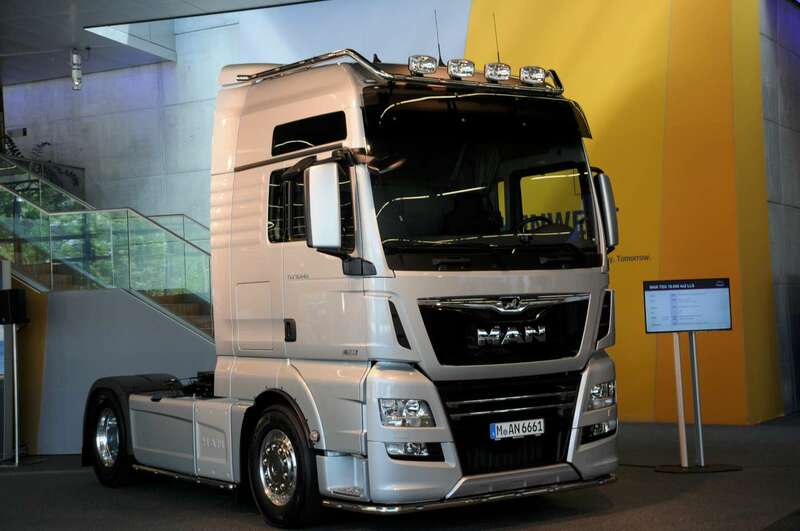 The new topmodel is the 640 Hp version that is now also available as road going 4×2 for normal long distance operations. Untill now that engine was only for heavy transport. 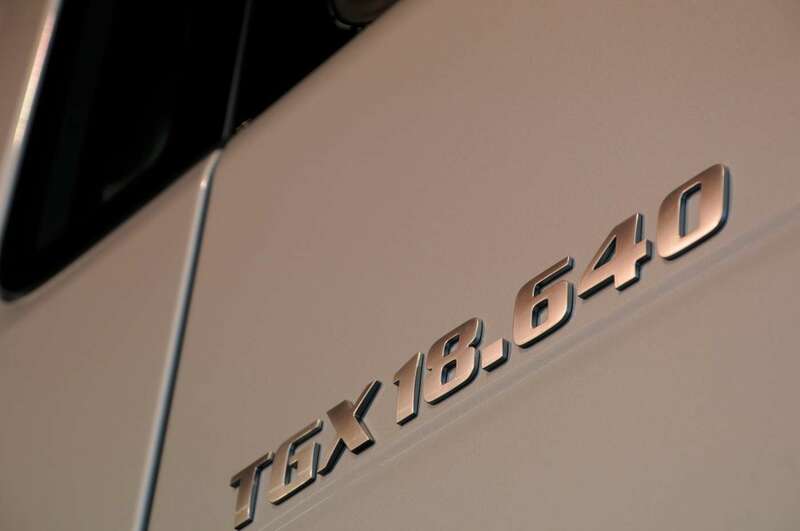 The gearboxes of the new top models are the Traxon models from ZF. For all the normal 4×2 tractors with the D26 engine MAN is moving to a 12+2 automated gearbox that is build by sister company Scania in Sweden. The adaption of this gearbox to the MAN engine was a job that MAN did, just like the developement of the software for it. 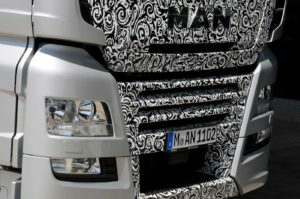 Now this is the first big move of the intergration of Scania and MAN in the Volkswagen Truck & Bus group. The expertation is that we are going to see more shared components in the future. 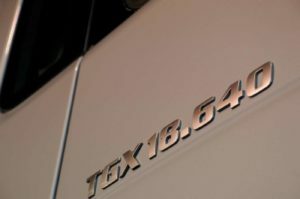 ← Scania teasing with the news..